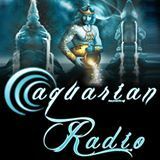 Aquarian Radio, created by Dr. Sasha (Alex) Lessin & Janet Kira Lessin supports the evolution of consciousness and dawning of the new age of Aquarius (Enki), father of humanity. Extraterrestrials visited and colonized Earth many times in the last several billion years. Several types of ETs are active on and near Earth right now. They've taken some of us aboard their spacecraft and even took a few of us to the planet Nibiru. Hosts Janet and Dr. Sasha Lessin review the information available and shares some ... See More of her own experiences encountering aliens. In All-Chakra Tantra, you center yourself and orchestrate your chakras–inner power plants that generate security, sexuality, power, love, communication, vision, and feelings of oneness with everything and everyone. Anthropologist Sasha Lessin, Ph.D. (Anthropology, UCLA) & UFO researcher Janet Kira Lessin put together information on the ETs on Earth, their legacies and their continuing influence. Sasha Lessin, Ph.D.(Anthropology, UCLA) author of Anunnaki: Gods No More and UFO researcher Janet Kira Lessin review the literature and interview leading investigators on the history of humans on this and other planets. Hosts Dr. Sasha (Alex) Lessin & Janet KIra Lessin discuss Ancient Aliens, Anunnaki, Extraterrestrials, Conspiracy, Metaphysics, All-Chakra Tantra, Spirituality, Lovestyles, Sacred Sexuality, Relationship Choice, Counseling, Tantra, Choice, Do-It-Yourself Counseling, World Peace, Ancient Anthropology, Ancient Archeology, ... See More Spirituality, Consciousness, Enlightenment, Paranormal, Pastlives, Life After Death, Life Between Lives, Dreams, Astral Travel & Projection, Remote Viewing, Extraterrestrials, Aliens, Experiencers, Contactees, Abductees (Experiencer's Network) & ET Contact, Aliens, Interdimensionals, Planet X, Nibiru, Multiverses, Archeology, Dimensions, Time Travel, Teleportation, Sustainability, Ecology, Enviornment and more. Welcome to the Ascension Center, a virtual reality of expanded consciousness. At the Ascension Center we feature ideas designed to facilitate ascension — moving from this dimension to higher levels of awareness of the continuum and all creation. Here, together, we become conscious and aware of the illusion, the delusion that keeps us ... See More disconnected, unaware that we are all one. United we excel, propel existence, led by love, create a new peaceful planet, with less resistance to positive possibilities, the highest good, love, light for all beings. Together we transcend, become the accelerated, ascended, enlightened, angelic beings we all know we are deep inside. Janet Kira Lessin & Dr. Sasha Lessin host Cosmic College on Freedom Talk Radio ~ www.freedomtalkradio.net ~ Fridays, 8 to 10 PM Eastern Time. Learn of the mendacious miasma, the matrix that mangles our minds. From macrocosm to microcosm, cut crap with Occam’s razor and contemplate the chain of existence with us. Get the straight ... See More from the metacosmic void to our slave-mentality minds. Dr. Sasha and Janet Kira Lessin teach and host cutting-edge savants from anthropology, exopolitics, extraterrestrial studies, ancient history, psychology, astronomy, physics, ufology, geology, sociology, philosophy entheogen research, relationship counseling and All-Chakra Tantra. On Cosmic College, experts in hypnotic regression and progression, holotropics, contactee therapy, existential analysis share their methods and experiences. On this program Dr. Sasha and Janet Lessin share the best of modern psychotherapy, personal, interpersonal and spiritual technologies, emotional retraining, relationship betterment, and centering strategies. Each show (available with Janet demonstrating and step-by-step do-it-yourself instructions at www.schoolofcounseling.org) gives ... See More you practical, everyday ways to grow emotionally, expand intellectually, get along better with others, find your life’s purposes, appreciate your existence, center yourself and improve the world. The written records of ENKI, a Homo Sapien ET from the planet Nibiru who led a goldmining expedition to Earth 400,000 years ago, mixed his genes with a local hominid to create a slave race, save the slave race from the Deluge 13,000 years ago. Power elites beholden to Enki's son Marduk/Allah and brother Enlil/Yahweh still hold ... See More the Earth in trall, while Enki, his sister Ninmah and son, Ningishzidda/Thoth/Quetzlcoatl endeavor to free us from the pretentions of divinity with which Yahweh and Allah still enslave much of the Earth. Choose the style of sexualloving right for you now, at this time of your life: celebate, tantric, monogamous, swinging, polyamorous, bisexual, try-sexual, pansexual, cyberloving and more. Free yourself from programs of relating parents, religions and governments perpetrate and become the CHOOSER. Select what satisfies you now, at this ... See More stage of your existence. The Lessins advise you on how to apply leading-edge psychotechnologies, consciousness expanders and sexual techniques that make whatever style of loving you choose work ethically, considerately and effectively. Join hosts Janet Kira Lessin & Dr. Sasha Lessin with investigative reporter, Steve O Mar as we update the world on the latest, greatest UFO sightings, abductions, contactee reports (and other related items). We broadcast live Fridays from 3 to 4 PM, HST. We also feature a wide variety of guests and sometimes take calls from our ... See More listeners if time permits. Join your hosts Janet Kira Lessin & Sasha (Alex) Lessin, Ph. D as they present Ninmah. Ninmah, daughter of Anu, half sister of Enli and Enki, co-creator of human beings, bore the first Homo Sapien in her womb. She is our Mother. She discovered the secret to creating intelligent hybrids, cross breeding Anunnaki and Homo Erectus, ... See More and interjecting intelligence and the ability to speak. Her nephew, further enhanced humans and allowed humans to pro-create on their own by DNA manipulation using additional DNA (the rib) extracted from Ninmah. Astral projection, ghosts, interdimensionals, mystical beings, life after death, reincarnation, life between lives, future lives, time travel, multiverses, strange anomalies, mythical beings. These things and more are discussed and explored by Paranormal People, on the path to discovery. Shatter the fetters of the illusory matrix of hierarchy, greed and violence that curtains Earth from its place in galactic society and, instead, embrace the reality of the intergalactic federation of advanced lifeforms which it is our destiny to join. The Temple of Tantra, first temple located in Maui, Hawaii, has its focus on consciousness and awakening humanity to the divine love aspects of itself. Through these offerings we unite in ONENESS, create harmony, honor diversity and support authentic, lasting peace for humanity, the Earth and all Beings, all life throughout the Universe. 347-945-7207 M-F 6-8C.call in for the TJ Morris ET Radio Show with Theresa J Morris.TJ began the ACO for trusted friends interested in spiritual science, metaphysics, truth, research, mysteries, history, cosmos connection, Life, frienship, book authors, video makers, and webmasters. ACO is about US and alien civilizations exist ... See More .Share peer review journals as we learn about each other in radio. Donations welcome to become a part of our listener supported radio shows. CosmosExpo.com magazine. ACE Metaphysicalinstitute.ufosecretspace.com. American Communications Online Information on Self-Help. Spiritual Path Journeys, Life & Death, Open Mind Exploration, Super Natural Unexplained Phenomena, Consciousness, Phenomenology,Metaphysics, paranormal, near-death experience, climate change,cosmology, quantum physics, remote viewing, hauntings, contactees,extraterrestrials, psychics, ESP, remote reading, metaphysics, world religions, cultures, habits, conspiracies. Area 51, crop circles, cryptozoology, magic to mysteries, UFOS. Ancient Cultures Origin (ancientculturesorigin.com), Earth hypothesis, science fiction literature, integrative medicine. Archaeology, Astronaut Clues & Views, Ascension Age, ERA COP, Time Travel, Time, TV Shows - Star Trek, Doctor Who, Marvel, Culture, Education Entertainment, Expanse Alternative ET Realities,Dimensions. Quantum Metaphysics, Mystic Minds Matrix, Authors, Researcher Theresa J Morris, theresajmorris.com, tjmorrismedia.com, UFOSecretSpace.com, Call 850-738-5136 to book an interview .Spiritual Educational Entertainment Supporters. We're all hybrids, Homo Erectus combined with Anunnaki, throw in some Neanderthal along with an unknown amount of DNA from an unknown amount of extraterrestrials which makes human beings. We've been genetically manipulated for thousands if not millions of years. We're remembering our roots, evolving, learning, growing. ... See More We're part ETs mind, body and soul. We've spent lives on other planets. Some are part Anunnaki on all levels, physically and spiritually. Remember. Awaken. Prepare for the family reunion.